John Rist holds the Father Kurt Pritzl, O.P., Chair in Philosophy at the Catholic University of America. His areas of interest include ancient Philosophy, Neoplatonism, Patristics, and Ethics. Rist is the author of numerous books, including Plato’s Moral Realism: The Discovery of the Presuppositions of Ethics (2012), What is Truth? From the Academy to the Vatican (2008), Real Ethics: Reconsidering the Foundations of Morality (2001), and Augustine: Ancient Thought Baptized (1994). 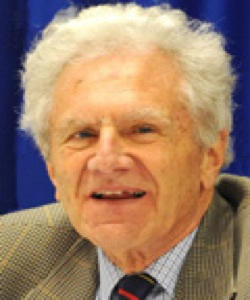 He previously taught at the University College, Toronto; University of Aberdeen; Institutum Patristicum Augustinianum; and University of Toronto, where he is professor emeritus. Rist was also a part of the Christianity and Freedom Project headed by the Berkley Center's Religious Freedom Project. He holds an M.A. in Classics from University of Cambridge.